Rick Ross drops a brand new track with production from Mike WiLL Made It and featuring Jeezy. A little while back if someone told us that Rick Ross would drop a track with Young Jeezy, we would have thought you crazy. Like institutional-level crazy. 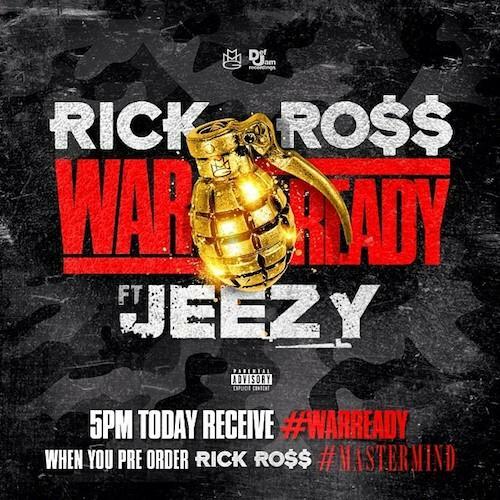 However Jeezy and Rick Ross have set aside their beef and bring us "War Ready," with production on behalf of Mike WiLL Made It. This is just one of the tracks released recently from Rick Ross making the already palpable excitement for Mastermind even more noticeable. If you haven't already, check out the tracklisting to Mastermind and watch out for its release, which will come to us on March 4. You can always pre-order it on iTunes.